Printess 5e: thermal transfer printing | Eidos S.r.l. This model has high operating autonomy obtained by increasing the diameter of the label roll and the thermal ribbon roll. 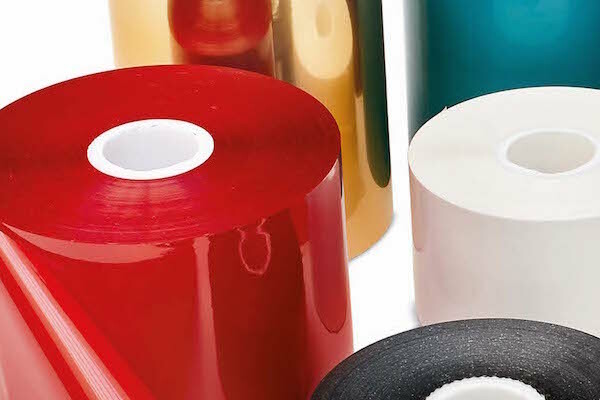 It is suited for high frequency applications for applying medium size labels (e.g. 100 x 50 mm) with variable data which can be updated in real time. Applies a label to the side or top of stationary boxes in adaptive manner with respect to the distance of the box. This rotary movement applicator has a guided piston and a label gripping pad with a vacuum generator and sensor to monitors actual picking. The system is self-adapting. Ideal for applications on stationary or slow moving objects and on flat surfaces. Applies a label on the side or two labels - one on the front and one on the side - on stationary objects (with the box stopping in two positions) or slow moving objects (with stops). This model is provided with a high-frequency fixed air jet (not moved by a piston) capable of accurately "spitting" the label to a distance of 80 mm from its surface and thus until approximately 50 mm of distance from the clearance of the labelling machine. Suited for high-frequency application on moving objects (also at high speed). Applies a label on the side or on the top of moving boxes if the line speed reaches very high speeds by means of a static air jet. Linear movement applicator consists of a guided piston and a label gripping pad with vacuum generator and sensor to monitor actual picking. Application is performed by a powerful air jet without contact with the object. Suited for applications on stationary or moving objects also with irregular or not perfectly flat surface. Use of the application finishing device is recommended in case of surfaces with poor adhesion. The device consists of a soft rubber roller which presses the label to apply it (after labelling). SHORT:useful stroke of 300 mm. LONG:useful stroke of 600 mm. 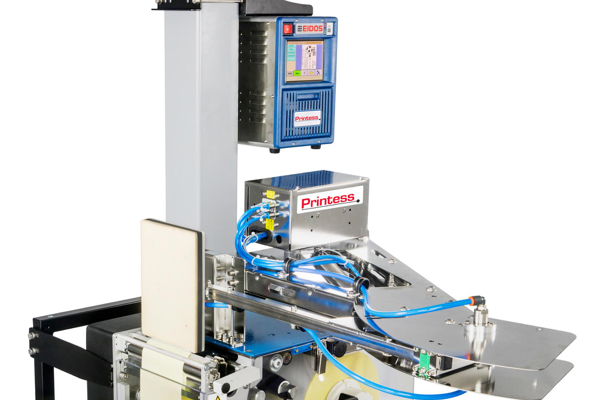 Applies a label on the side or top of moving boxes if the size of the boxes is very variable using an air jet with moved pad and photocell to automatically locate the correct splitting distance of the label. 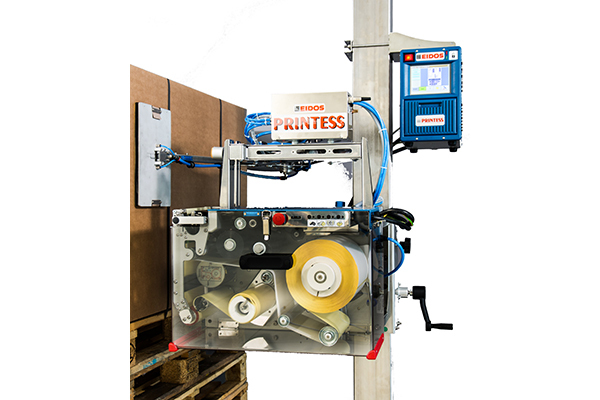 This simple, cost-effective applicator can dispense labels on objects moving that the same speed as the overprinting. 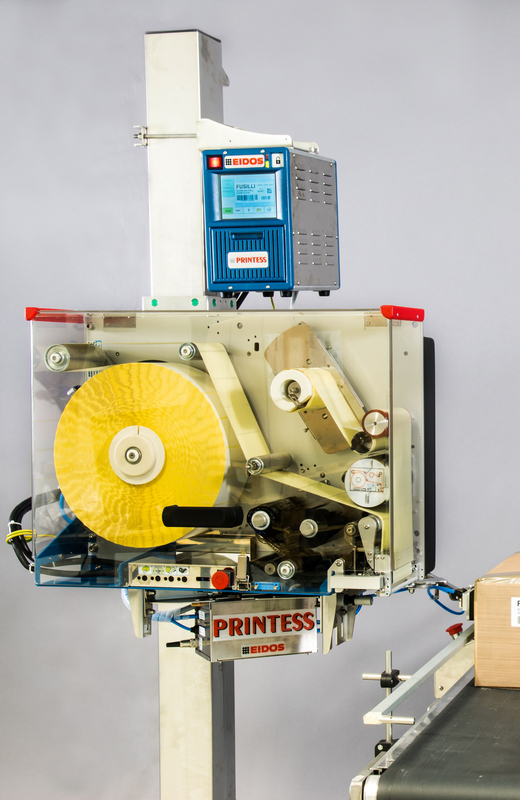 Applies a label on the side or top of moving boxes is the speed of the linear is less than 25 m/min and the boxes all pass at the same distance from the printer. 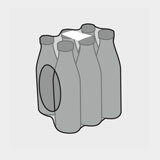 Applies a label wound about a moving bottle which is turned, by means of belts, to wind the label. Light floor stand (for positions not subject to shocks). Adjustable in height and configurable in many different ways. With accessories, such as air pressure regulator, beacon with indicator lights, electronic unit bracket etc. Robust floor stand (for heavy-duty applications). Adjustable in height and configurable in many different ways. With accessories, such as air pressure regulator, beacon with indicator lights, electronic unit bracket etc. Integral stainless steel box for protecting the electronic unit. Recommended for use in wet and dusty environments. Data can be set on the touchscreen. 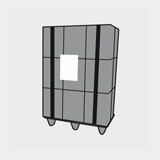 Aluminium profile box for protecting the operator and the pallet printing unit. Instrument for holding the temperature at about 20°C in environments colder than 5°C. 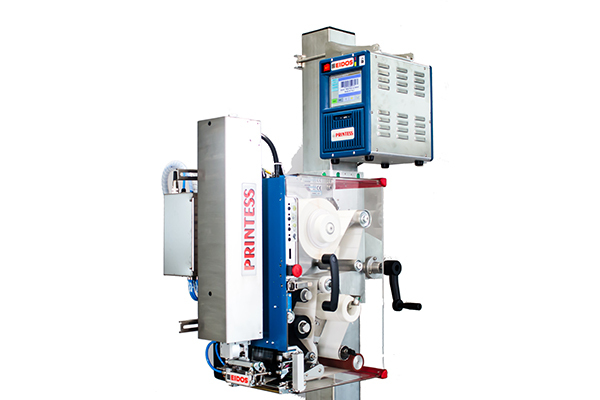 After printing, the smart label is taken to the applicator pad and printed in radio-frequency. The label is read and rejected if it is not correct. It is then automatically applied onto the object (pallet) and checked once again. After printing, one or more codes are read and checked by a laser scanner. In case of negative results, the printing operation is repeated and the new label is placed on top of the previous one. The checking device may be fitted on the printer (to check immediately after printing) or for reading the previously applied label. Barcode and two-dimensional code checking devices are available.